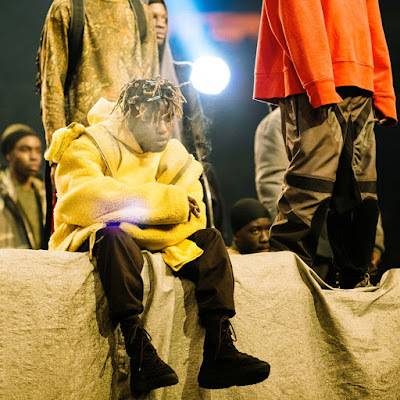 Kanye West premiered the Yeezy Season 3 collection earlier today at Madison Square Garden. The sold out fashion show also served as a listening party for Kanye's highly anticipated and newly named album, The Life of Pablo. Here is a look at Ian Connor sitting front stage of the show. Looks like he may be wearing a new boot silhouette, and it does not look like the new Yeezy 1050 boots. What are your thoughts?